Our mission at StockBrokers.com is simple: provide thorough and unbiased reviews of online brokers. For the StockBrokers.com ninth annual review published in February 2019, a total of 4,544 data points were collected over six months and used to score brokers. This makes the site home to the largest independent database on the web covering the online broker industry. We also take pride in StockBrokers.com data quality because it is 100% verified by the industry itself. Every broker that participates in the annual review must complete an in-depth data profile and provide executive time for an annual update meeting. We then validate each data point to ensure its accuracy. This rigorous data validation process yields an error rate of less than .001% each year, providing site visitors quality data they can trust. As a symbol of our focus on quality data, we unveiled the StockBrokers.com Verified Quality Data seal in 2016, which is displayed throughout the site. All testing is conducted on the devices listed below, using a hardwired, 50 MB Internet connection. 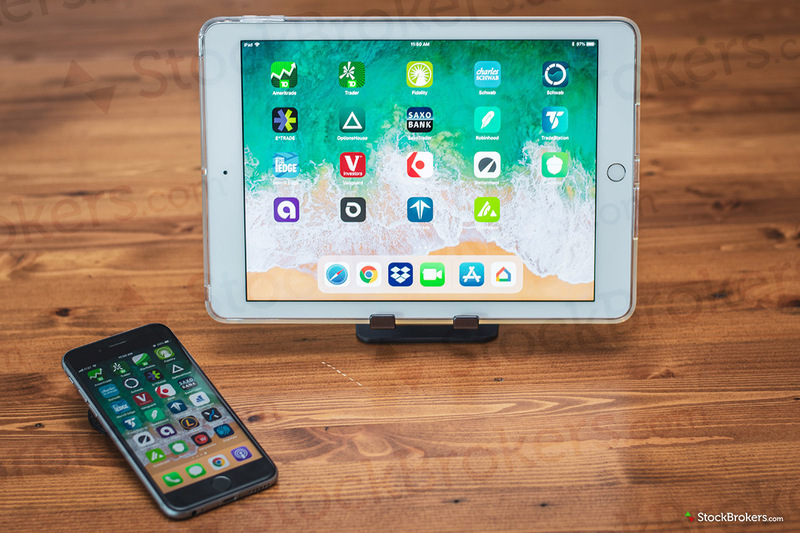 Mobile device testing is conducted using an 802.11n wireless WiFi connection; 4G connections are used when WiFi is not available. Unless noted, all websites and web-based platforms are tested using the latest version of the Google Chrome browser. Desktop: Six ASUS 24″ LED Monitors, Intel Core i7-3770 Processor, 8 GB Corsair Vengeance DDR3 1600 MHz memory, 2 AMD Radeon HD 7770 video cards, and a 120 GB ADATA S510 SSD Hard Drive. Windows 10 operating system. Tablet: iPad Air 2 with the most current iOS. Safari Browser. Smartphone: iPhone Xs with the most current iOS. Safari Browser. 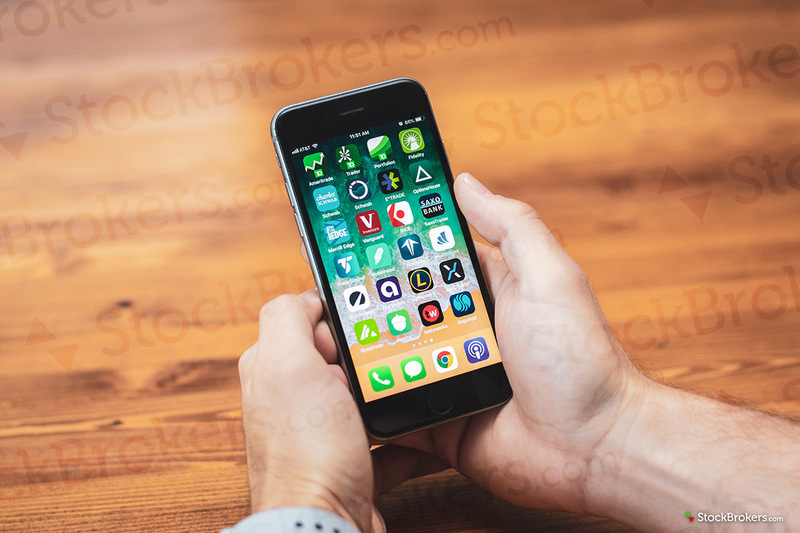 For the StockBrokers.com 2019 Online Broker Review, all U.S. equity broker participants were assessed on 284 different variables across 9 core areas: Commissions & Fees, Customer Service, Platforms & Tools, Research, Ease of Use, Offering of Investments, Education, Mobile Trading, and Banking. StockBrokers.com presented “Best in Class” awards to equity brokers across all nine core areas as well as additional categories Options Trading, Active Trading, Beginner Investors, Professionals, and Overall. A “Best in Class” designation means finishing in the top five brokers for that category. Individual Industry awards were also distributed. A breakdown of how the categories are assessed is shown below. For detailed commentary and analysis on all categories, view our Best Brokers section. For example, Best Brokers for Mobile Trading. Categories assessed in this manner include Offering of Investments, Platforms & Tools, Research, Mobile Trading, Education, Ease of Use, Order Execution, and Banking. Note, Offering of Investments does not incorporate an opinion score. Also, Ease of Use is 100% opinion weighted. To score Commissions & Fees, first, multiple scenarios are assessed for equity trades, options trades, and margin rates. For example, the cost of placing a 500-share market order or the cost of placing a two-legged one-contract options spread, or the margin rate for a $50,000 balance. Brokers are awarded points depending on how cheap they are relative to their peers. Next, multiple scenarios are assessed for different investor types on a monthly basis, incorporating any miscellaneous account fees, platform charges, and active trader rates. For example, the net monthly cost to place 10 stock trades (500 shares per), or the monthly cost to place 100 stock trades (500 shares per) and 50 options trades (10 contracts per). Finally, all scenarios are independently weighted and points are combined from order execution to determine an overall score for Commissions & Fees. To score Customer Service, StockBrokers.com partnered with customer experience research group Confero to conduct phone tests from locations throughout the United States. For our 2019 Review, 300 customer service tests were conducted. View infographic. Confero agents used one unique template provided by StockBrokers.com (on average, three questions are asked) to assess each broker. Agents were only allowed to conduct one round of tests for each method to ensure the highest quality, and the most diverse data were collected.